Michael William Bond was born in Thame in 1873 the son of Frederick and Sarah Bond of Moreton Field Farm, Moreton, Thame. He was baptised at St Mary’s Church on 2nd July 1873. By 1891 at age 17 he is described as a farmer in the census. He joined the Oxfordshire Yeomanry in 1893 and then the Imperial Yeomanry when it was formed in 1899. The Yeomanry arrived in South Africa on 29th March 1900 and were soon in action taking on and beating the Boers at Boshof on 5th April 1900. 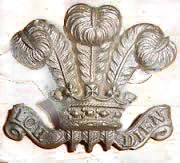 8051 Trooper Michael William Bond, 59th Company (Oxfordshire) 15th Battalion, Imperial Yeomanry, died of disease on 18th August 1900 at Kroonstad, South Africa, age 26. He is buried in Bloemfontein, South Africa. 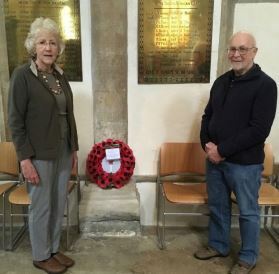 He is remembered at the Oxfordshire Imperial Yeomanry Boer War Memorial at Christchurch Cathedral, Oxford and on a Memorial Plaque in St Mary’s Church, Thame.